Uphold and maintain stability of your core environment. Implement a solution that can evolve with your business. 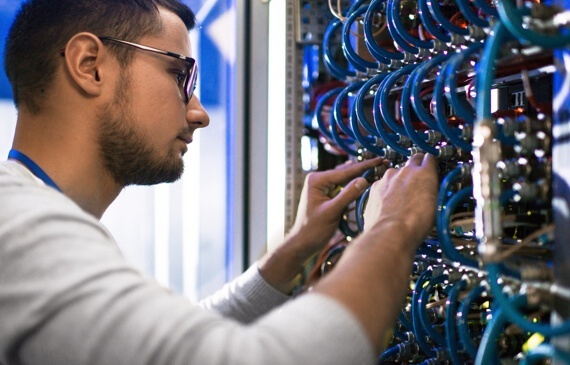 With a focus on security and quality of service, our cross-certified engineers design, implement, and support various network and infrastructure solutions. Our services and solutions encompass all aspects of critical back-end IT environments. Get a strategic solution designed to address not only your current requirements, but your also future needs.